Remember way back when I collected containers to teach capacity? Well I ended up with a GIGANTIC garbage bag full of milk cartons, shampoo bottles, juice containers, and water bottles and we finally used them. I wish I would have taken a picture of all the containers arranged on my table, categorized into baskets, you would have been impressed 🙂 I divided my kiddos into groups of 3-4 and gave them a pep talk about this being a DISCOVERY and that they would need to stretch their minds and work together. Whew, they have a tough time with this concept, but in the end they did a great job with this discovery. 2. 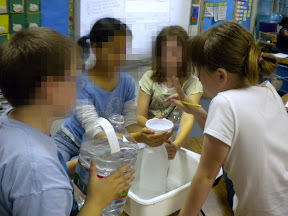 Their task was to try to figure out how many ounces, cups, pints, quarts and half gallons are in a gallon…and then to figure out everything in between. How did they do this? They picked containers from the baskets and tried to figure it out! 3. When they figured out one, they traded in their container and tried to figure out another one. This was a fantastic activity for critical thinking…my heart warmed when one of my girls ran up to me and said, “Miss, we figured out how many cups is in a quart, so we can just multiply now, huh?” Woohoo!! Did they get all the answers perfectly? No. But did they have a better understanding of capacity and the relationship between units? YES, YES, YES!! There is nothing super special about this activity, except it takes perimeter and area off the paper and lets the kids experience it for themselves. 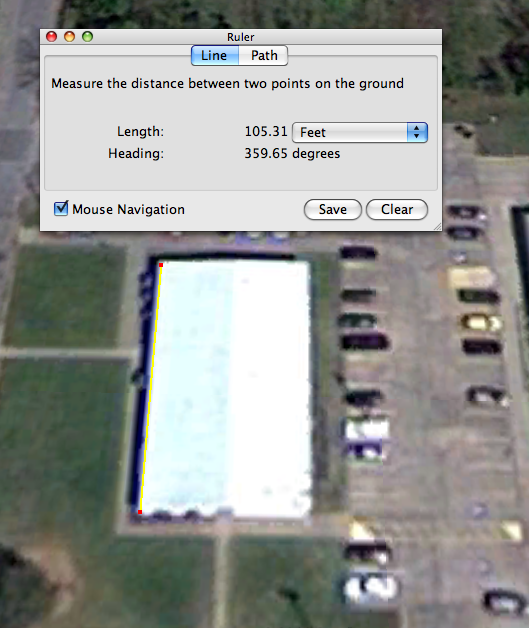 The really fun activity we did with perimeter and area was Perimeter and Area with Google Earth! 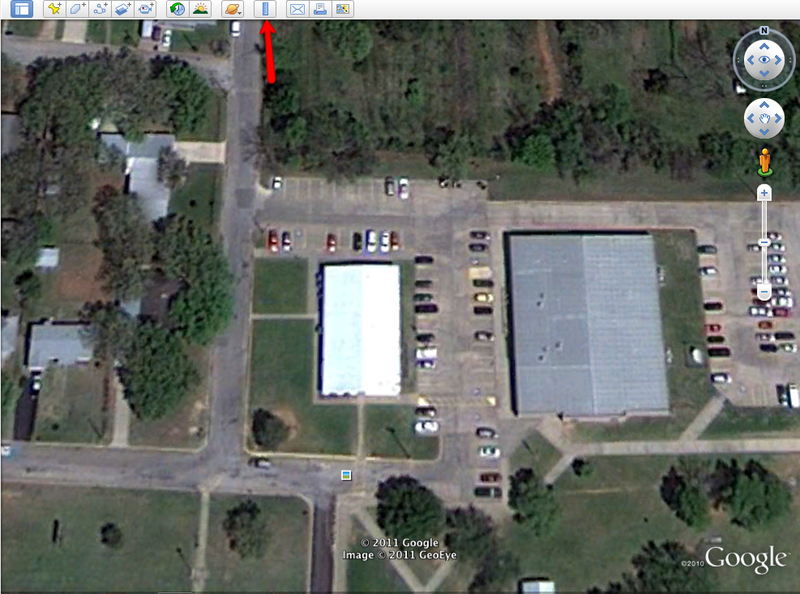 If you don’t have Google Earth on your computers you can download it free here. If you haven’t used Google Earth with your kids before, then you will want to give your students some time to just play with it the first time, it is so fun! Since we have already used Google Earth, we jumped right into using the Ruler tool to find the Perimeter and Area of very large things! The kids loved that they could switch between units and figure out how many centimeters or miles our building is! 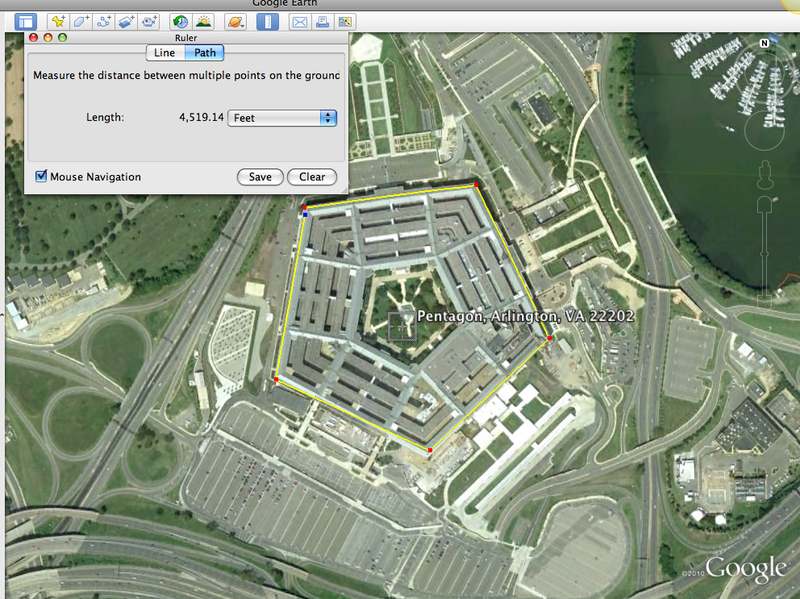 We used the “Path” tool to find the perimeter of the Pentagon. Since we are not quite ready to find the area of a pentagon, we just found the perimeter of this one, but if you have older students you could definitely have them find the area too! The rest of the activity has the kids measure the perimeter of the United States, Colorado, and a state of their choice. 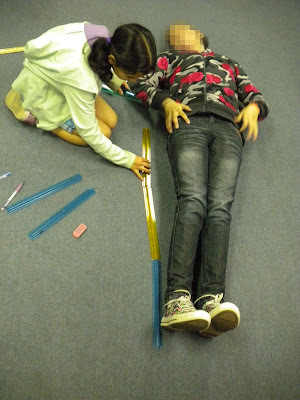 This turned out to be a very successful activity, and the kids had to have a very solid understanding of perimeter and area to complete each task. **Find all my Measurement Packet Activities here. Plastic Cups–Again, do NOT use Styrofoam cups for this activity! You will have a very soggy mess. 2. Their task is to mix the hot and cold water until it feels the same as room temperature. 3. After they think they have gotten their water to room temperature, they will use temperature sensors to measure the temperature of the water and air and note the difference. Teacher Tip: In general if the room is cool, their water will be cooler than the air, if the room is warm the water will be warmer than the air. 4. Now they will do the same activity using the temperature sensor to get the water temp to match the air temp. 5. After they have gotten the water to within 1 degree of room temperature, they will feel the water and note whether it feels warmer, colder or the same as the room temperature. 6. 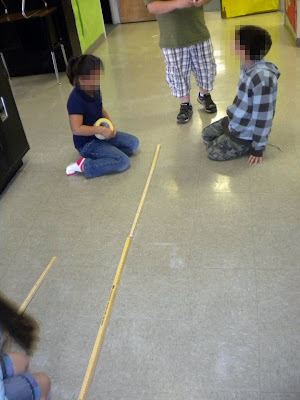 When everyone has finished, discuss why it is important that scientists use measurement tools and not just their senses to take measurements. 1. Temperatures Around the World. I listed locations around the world and had the kids predict if they would be hotter or colder than the temperature here. They also had to list a reason for why they thought it would be hotter or colder. Some of their reasons were a little weak, such as “Hotter because China is hotter”, but even I had a hard time explaining my reasoning for my hypothesis! 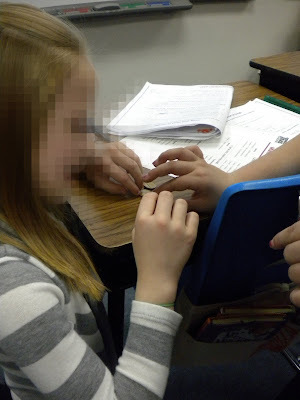 The next temperature activity we did was an exploration of what affects world temperatures. For this activity I went over the key vocabulary: equator, coast, and elevation, then I let the kids explore the map again. They had a much more difficult time with this because I didn’t tell them the answer. Do you have this problem with your students? They always want you to tell them the right answer? We are working on “using our brains” to figure things out. It’s a tough lesson–to teach and learn! So anyway, this activity was more frustrating, and when I do it in the future I will preface it more clearly that this is a discovery, they might not discover the right answer, and that’s ok! The next day I went back to the maps and taught a lesson about the equator, coast and elevation. In the end they really “got it” and loved using Wundermaps. ALSO, in our Storyworks magazine this week there was a story about Jordan Romero, the youngest person to climb Mt. Everest and they made the connection to elevation again…so many connections! My kids LOVED this story and there are lots of inspirational videos on YouTube about this amazing kid!